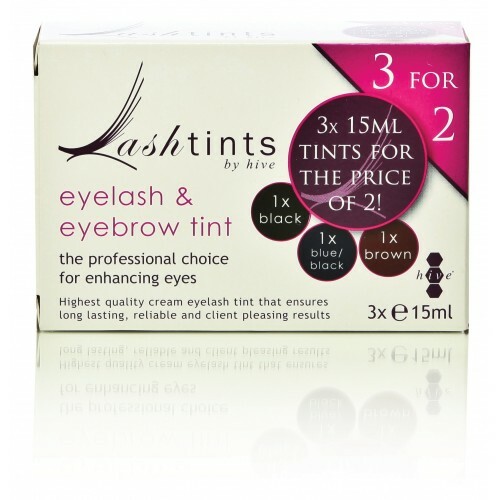 Superior Creme Tints for eyelash or eyebrow tinting treatments to create long lasting and immediate colour results. Can be used for eyelash and eyebrow tinting. Hive tints contain finest colour pigments. Delivers consistent, reliable colour results that can last up to 6 weeks. Economic, each 15 ml tube contains an average of 30 applications.